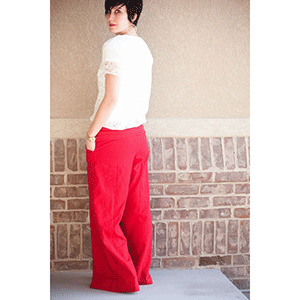 These sneaky pants look super classy but feel comfy like pajamas ... shhhhh, we won't tell on you. 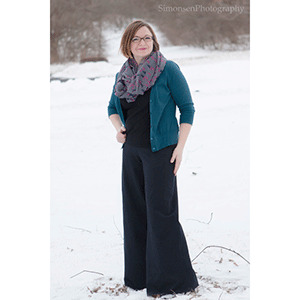 Pull-on wideleg pants features an easy-on, comfortable, knit waistband (skinny, regular or fold-over -- wear yoga waistband up for more coverage and support). The Wideleg version is straight down from the hips and Super Wideleg version is flared out below the hip. 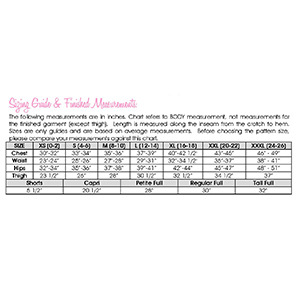 Patterns includes 5 length length options: short length and capri length options, and Petites, Regular and Tall full length. 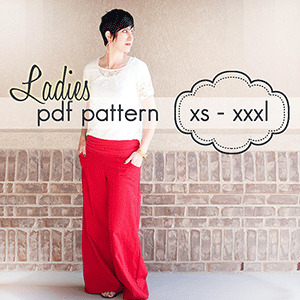 This pattern includes sizes XS, S, M, L, XL, XXL, XXXL. Recommended fabrics are french terry, cotton jersey, specialty woven or ponte de roma. Try a cotton lycra for the waistband.